"I have been so pleased with Tasty Pins from the second I bought it! I am a new blogger and so the overwhelm of everything there is to learn was getting to me. 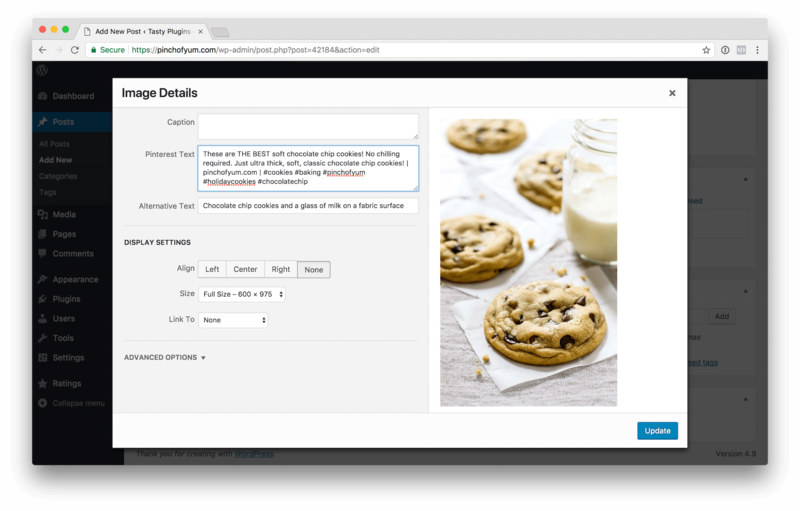 Then one day I heard about the features of Tasty Pins allowing you to insert Pinterest descriptions and alt text on every photo, plus being able to hide Pinterest images and I was completely sold! In that same day I made the purchase and I am so happy that I did! Tasty Pins has amazing features and their customer support is out of this world!"